They’re back! The gentle giants – the Southern Right (Eubalaena australis) whales ply the seas from the Antarctic visiting the Cape shores between June and November. Despite their size they have gymnastic tendencies. Through leaping, tail lobbing and spy hopping they create fantastic shows with tremendous splash down . They’re easily recognised by their callosities (sometimes mistaken for barnacles) that cover their heads and blowholes. These patterns are like unique fingerprints particular to each individual. They’re welcomed with joyful spirit by the many spectators who enjoy their exuberant antics. If you’ve been following Wilf’s stories, you’re in for a treat as he describes the ‘Wider view” …. 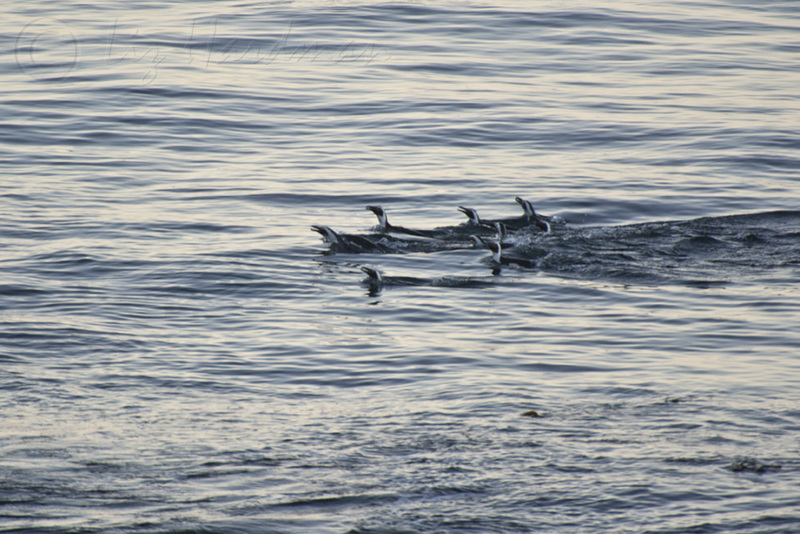 Stretched out before us is False Bay with it’s host of marine creatures …. Over the past several months you have been introduced to the leading characters in the everyday life of Our Urban Wilderness here in the Cape Peninsula of South Africa. But that’s only our rather narrow domestic view. They are not the only members of the great family who share our larger world, just those who live around us and brighten our lives daily or at least once every week or so. 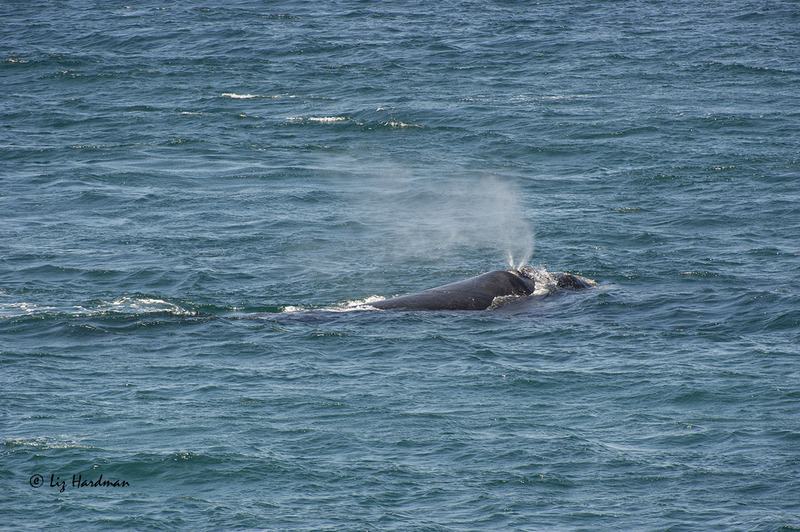 It’s always a thrill to see the first of the Southern right whales as they return to the Cape Peninsula shores to mate and calve at this time of the year. 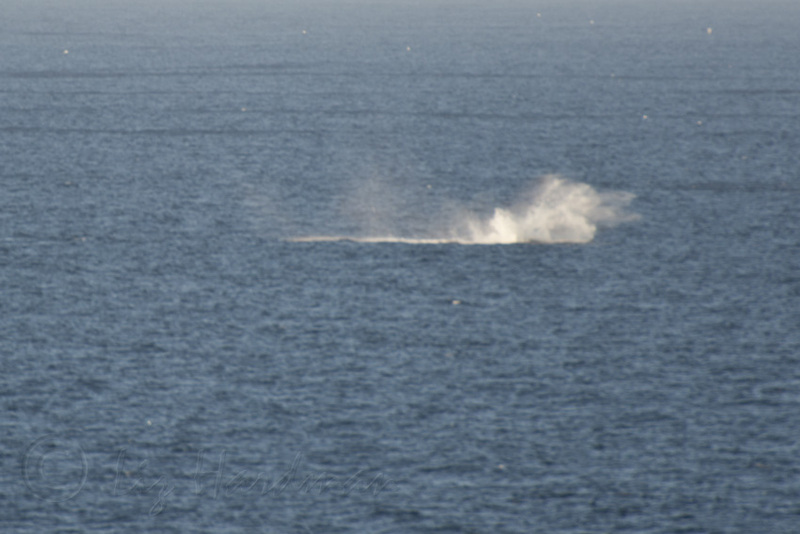 Their V-shaped water spout is their signature mark distinguishing them from the bushy-shaped blow of the Bryde and humpbacks. Hope you find the post interesting as it’s inspired by this week’s photo challenge: Split-second story – playing documentary photographer. An unexpected sight as the last of the Southern Right whale calves breach. 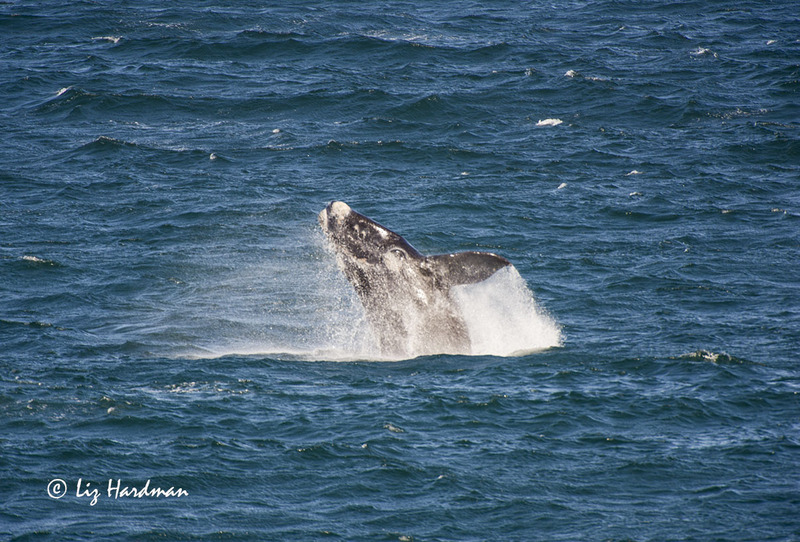 Humpbacks: having a whale of a time in False Bay. At this time of year whale spotting is part of a daily event; crowds often gather on the coastline to admire these magnificent giants. 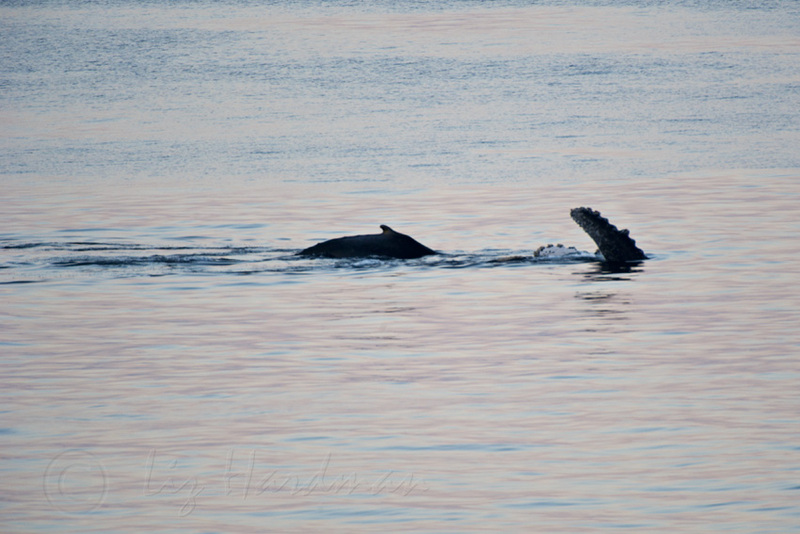 We expect to see Southern Right whales as they migrate from the Antartic to calve and mate in the waters around the Cape, but it’s been an unexpected bonus to sight Humpback whales this past week. These fabulous acrobats are in fine form; loptailing with great gusto, leaping right clear of the water and creating spectacular splashdowns. 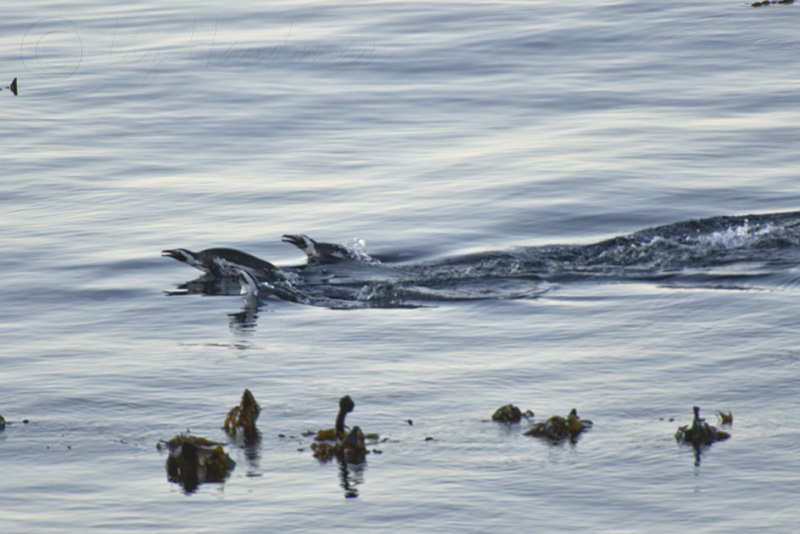 While engrossed in their antics, at the other end of the size scale, the tiny penguins almost passed unnoticed. Ungainly on land they transform into ‘flying’ torpedos, finessing bait fish with their speed and agility. Humpback whales have distinctive features, a curving shape and dorsal fin, long pectoral fins, black and white tails and knobbly heads.